Stop Time Measurement Device for Press Stop Time and Safety Distance. OSHA Uses Safetimeter.. 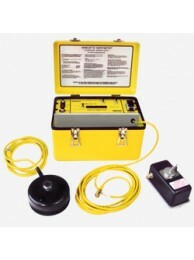 Rental of Gemco - 1999 Semelex II Stop Time Measurement Device. Price is per week; minimum one week ..